Vintage European furniture isn’t just another purchase, it’s an investment. The pieces you buy today may be sold later for a nice return. But how do you know that the chair you’re being told was made over two hundred years ago in France, is really so? You need a European antique furniture appraisal expert. 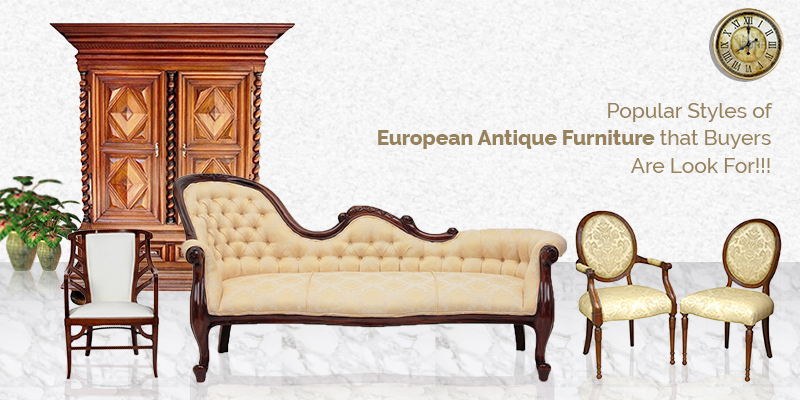 We’re among the best European Antique Buyers & Appraisers in the industry, and we’re ready to help you purchase OR sell antique furniture at the best prices with confidence. We have been offering European Antique Furniture appraisal services for over 40 years in the New York, Connecticut & Now Arizona region. Also, we can buy your European Antique Furniture at the best prices. This is just a short list of some of the more popular styles. It can be incredibly difficult to identify each type of style. That’s why it’s important to have a professional European antique furniture appraisal done in order to get the best price for selling any European Antique. Some styles are very similar, making it hard to know if you’re looking at traditional European furniture or a cheap knockoff. Leave it to us to determine if you’re buying the real deal or not. What Pieces of European Antique Furniture Should You Sell ? It really depends on what you have and what look you’re going for as there are many different pieces of antique furniture out there including Buffets, cabinets, wardrobes, dining room sets, chairs, mirrors, chandeliers and bedroom sets. We’re here to tell you if the item you’re considering is authentic, correctly valued and we offer the option to sell directly to us. The final decision is up to you. If you would like sell us please email us at Bill@wsmithauction.com with a photograph and detailed description of the item. We can also give you the option to offer the item for auction, which might offer a better price for your European Antique Furniture. To get started with dealing in European antique furniture, you first need to take some initial steps for assessing the price of the antique. We recommend working closely with one of our appraisers for all your transactions. You may want to look at a wide number of different pieces of European furniture that we carry and also those that are in demand before making a sale. This lets you see what’s out there and thereby make a sale at the best price for European Antiques. If you are looking to buy and Once you know what you want, we’ll help you determine if the price is right and if the pieces you’re buying are truly antiques from Europe. We’ll walk you through the different variations in style so you can see exactly why the piece you’re buying is valued like it is. Ready to get started? Give us a call today to begin your exciting journey into collecting and selling European Antiques!